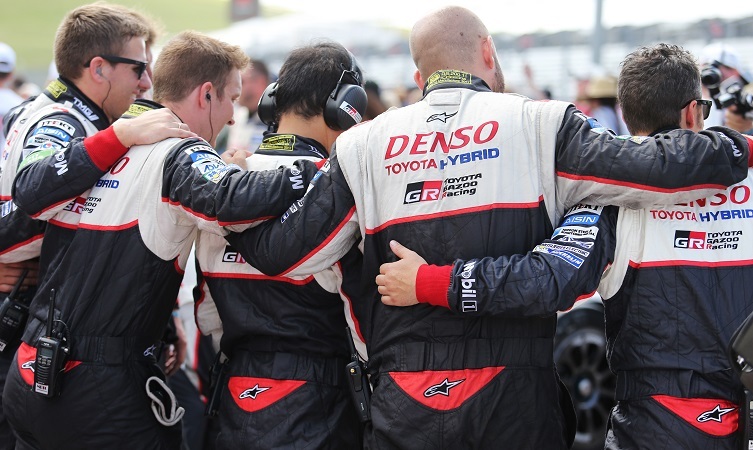 Toyota Gazoo Racing claimed third and fourth places in the 6 Hours of the Circuit of the Americas, in Austin, Texas, on Sunday, the sixth round of the 2017 FIA World Endurance Championship. 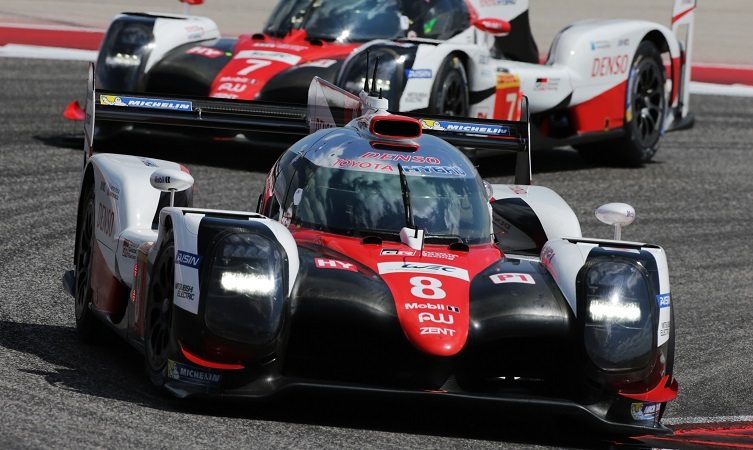 The race proved a close battle between the Toyota TS050 Hybrids and their Porsche rivals, with the team recovering well from disappointing qualifying times. 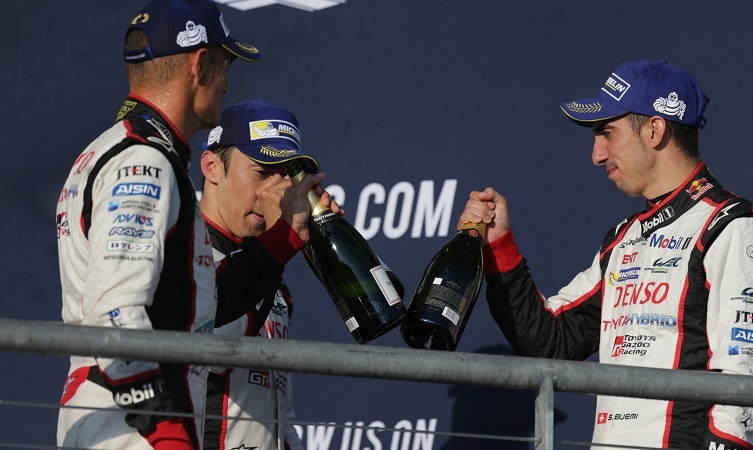 The podium finish was claimed by the #8 car of Sébastien Buemi, Stéphane Sarrazin and Kazuki Nakajima, just 21.7 seconds behind the winning #2 Porsche after 1,058km of racing. Mike Conway, Kamui Kobayashi and José María López in the #7 Toyota played their part in an exciting race, coming home in fourth place. The action was close from the start, with both Toyotas passing the #2 Porsche in the opening laps to hold second and third. With temperatures reaching 34°C, race regulations required a driver change at each scheduled pit stop, with Nakajima and López taking the wheel for the second stint. Unlike the Porsches, no time was lost with a tyre change. Nakajima led the race at the one hour mark. But López, running on a different tyre compound, fell back to fourth after fighting wheel-to-wheel with the #1 Porsche for two laps. Porsche gained the upper hand at the next round of pit stops, needing only to refuel. 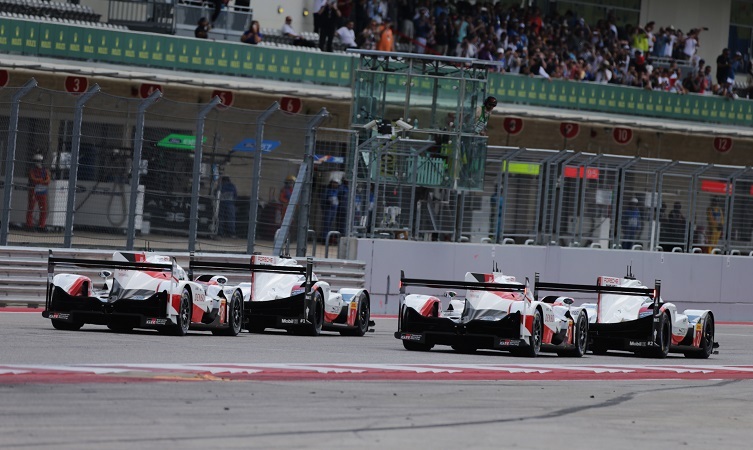 A strong drive by Kobayashi took the #7 Toyota past Sarrazin to third place to challenge the #2 Porsche for second. After three hours and another driver change and refuelling for both cars, the field was brought together in a 10-minute safety car period, with Conway in second and Buemi third. At the restart, the #2 Porsche had the advantage of fresh tyres, relegating the Toyotas to third and fourth by the next round of pit stops. Despite the heat, they maintained pressure through to the chequered flag. Kobayashi brought the #7 car home 13 seconds down on its sister car but was penalised a further 10 seconds for an incident with an LMP2 car late in the race. Despite missing out on victory, the team is preparing for its home race at the Fuji Speedway in Japan on 13 October with renewed confidence.